From farm to table, see how Mi Rancho produces the world’s best tasting whole kernel, stone-ground corn tortillas. They are the epitome of Pure Tortilla Joy. Mi Rancho has been baking the world’s best tasting tortillas for over 75 years. Meet the Berbers, the family behind Mi Rancho and the creators of Pure Tortilla Joy. Get a behind-the-scenes look at how Mi Rancho produces the world’s best tasting flour tortillas and discover Pure Tortilla Joy. Learn how Mi Rancho uses the authentic process of nixtamalization to produce the world’s best tasting corn tortillas. 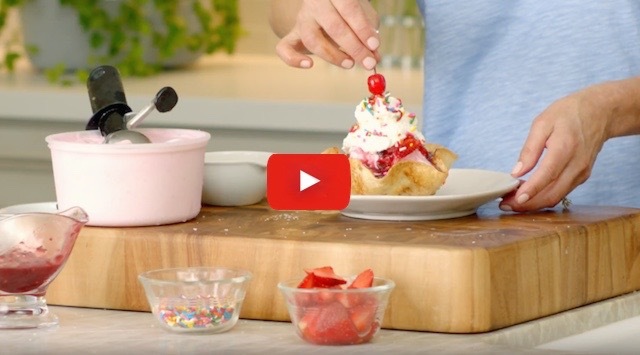 In her latest video, Mama Carol teaches us how to make ice cream sundae tortilla bowls. Watch Carol and her son duel it out in an ice cream sundae competition. Take a sneak peak of Mi Rancho on Food Quest, where we dive into the history of Mi Rancho and learn what pure tortilla joy is all about. We’re so excited to have our corn tortillas featured in Sun Basket meal kits. 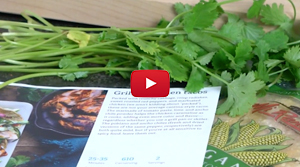 This meal kit service provides members with delicious weekly recipes, always fresh and organic. Take a trip down memory lane with this video on Mi Rancho history! 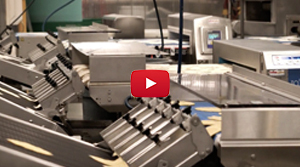 Learn how we combine old world authenticity with new world innovation to create our delicious tortillas. Our organic, non-GMO corn tortillas are created with the help of hand-carved lava stones, giving the tortillas a rich corn flavor with a hearty consistency. At Mi Rancho, we’ve mastered the art of old world authenticity and new world innovation. We’re proud of our organic, non-GMO tortillas that deliver top-notch flavor and pure tortilla joy. Our flour tortillas are fluffy, flavorful, and made the old-fashioned way, just like Mama would have liked it! Learn about the process of creating our flour tortillas in the video above. 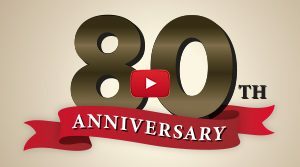 Watch our 80th anniversary video to learn more about how we made it to 80 years, and how we spread pure tortilla joy everyday!